As a probate research firm, our forensic genealogists are experienced at providing expert genealogical research, analysis and reporting for legal proceedings involving kinship. Why would you like to hire a forensic genealogist? Our team of forensic genealogists and probate researchers have the record access and necessary skills to build the family tree of a deceased relative and then trace the living descendants who may ultimately inherit from an estate. This forensic probate research often requires knowledge of late 1800s and early 1900s record sources for various parts of the United States (USA) and other countries, as well as “people finding” skills to find and locate potential heirs. Whether you are an attorney representing a potential heir, a personal representative of an estate, a real estate or property investor, or are involved in other legal proceedings in which identifying kinship is necessary, our team of forensic genealogists can help! Learn more about what to expect when you hire Legacy Tree Genealogists to complete probate research. If findings are intended for use in a legal setting, an Affidavit of Diligent Search for Kinship is almost always required. Our forensic genealogists will prepare a written report of research findings that has been notarized as the sworn testimony of the researcher. If you find that you also need an expert witness to appear for probate court, we can help. In some cases, you may only require a Narrative Report of Kinship. This is similar to an Affidavit of Diligent Search for Kinship, but is not notarized, and is not considered sworn testimony for legal proceedings. This type of report is commonly requested by real estate investors who want to know if a property owner is deceased, and if so, identify potential heirs of the estate. We can provide an Affidavit of Diligent Search for Kinship should legal proceedings become necessary. If you or your client have been named executor of an estate, we will work with you to identify each living relative and to locate the potential heirs for your case. While we do not provide legal advice regarding who should inherit an estate, our report will state with confidence who the closest living relatives are. When a family member dies intestate (e.g. dies without leaving a will) it is important to bring a forensic genealogist in quickly to ensure that the estate goes to the legitimate heirs rather than being lost to the state. Our forensic genealogists are experts at combining thorough genealogical research and analysis to determine kinship. We are headquartered near the world’s largest family history library and have developed a network of onsite researchers all over the globe. 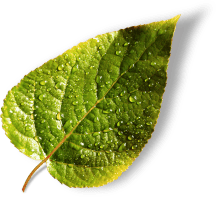 WHY CHOOSE LEGACY TREE GENEALOGISTS? Highest Client Ratings – we are the highest client-rated genealogy research firm in the world, with public reviews on the Better Business Bureau, Angie’s List, Google+, Facebook, and more. Truly Customized Projects – every project is tailored to the client’s specific research goals, which are clearly identified and agreed upon before research begins, ensuring expectations are always met. Project Turnaround Time – We complete most probate research projects in 3-8 weeks without sacrificing our commitment to providing exceptional research. Rigorous Quality Control – each project undergoes a stringent review process and is meticulously checked for accuracy and quality in research and presentation. Credentials – our researchers are handpicked, tested and trained to ensure they meet our unwavering commitment to quality. Our researchers possess four-year degrees in Family History and Genealogy, accreditations, or decades of experience, and share a passion for genealogy research. Stability – We’ve been in business since 2004 and have helped thousands of clients with their research goals.